Alice Beveridge, having gained a distinction in an English Speaking Board qualification, in Summer 2018, performed so well that she was selected, out of hundreds of students, to perform at an exclusive event at Liverpool’s Crowne Plaza Hotel. 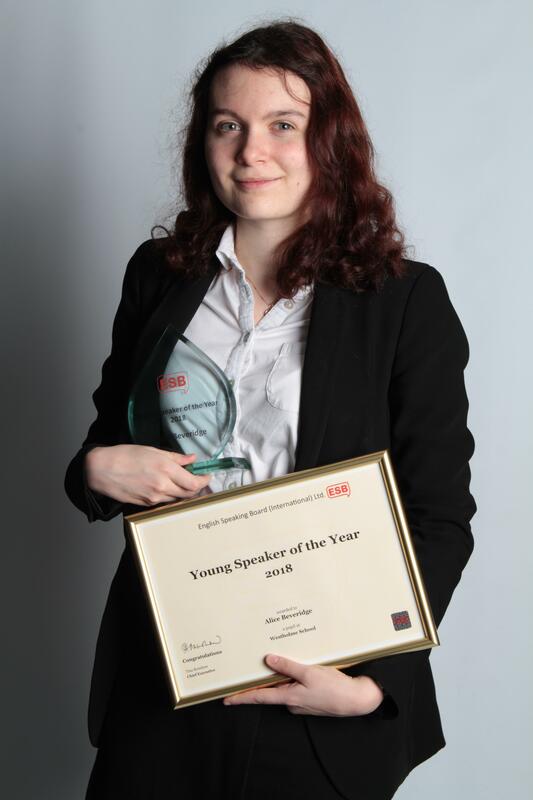 The examiner, who assessed our ESB students, nominated Alice as an outstanding speaker and she was asked to showcase her talent to a large audience and she was awarded the prize for ‘Young Speaker of the Year’. We are very proud of Alice’s achievements and we hope that this will inspire other sixth form students to participate in the English Speaking Board qualification.